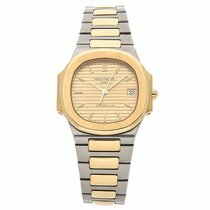 Which quartz watch should I buy? The two most important aspects of a quartz watch are its precision and affordability. Luxury watch manufacturers like Omega, Breitling, and Cartier also offer quartz watches. Some extra functions are only possible with a quartz movement. Quartz-powered watches are available at almost every price, ranging from 30 euros to well over 100,000 euros. In terms of numbers, quartz watches clearly dominate the worldwide watch market. Most often they are battery-powered watches from Asia, but Swiss manufacturers also offer a wide range of quartz watches. In total, 80% of all Swiss watches produced are quartz. Rolex used to occasionally produce quartz models as well. However, the Genevan manufacturer has since returned to exclusively producing mechanical watches. Competitors like Breitling and Omega, on the other hand, continue to offer quartz watches. The advantages of a quartz movement are obvious: It's precise, deviating by only a few seconds per month; it's robust; cheap to produce; and easy to maintain. Luxury watches differ in many respects to mass-produced watches, however, as the luxury watches are still sold at much higher prices. Nevertheless, quartz watches are still found in the portfolios of some famous mechanical manufacturers. For example, some Breitling models from the Professional series have quartz movements, such as the Aerospace, Chronospace, and Exospace. These more expensive watches aren't defined by their prices, but rather the technical possibilities of these types of movements. The Exospace B55 demonstrates the potential of modern quartz movements. Its electronic in-house caliber can connect to your smartphone via Bluetooth, allowing you to download data to your phone and receive notifications. The watch also has a stopwatch with a flyback function, a perpetual calendar, a timer, an alarm, and a second time zone display. The Exospace B55 features both an analog display with three hands and a luminous digital display. Some of these functions (Bluetooth, electronic digital display) are not possible with a purely mechanical watch. A perpetual calendar, flyback chronograph, second time zone display, and alarm are all available as complications on mechanical watches, but quartz watches with these features are relatively affordable alternatives. Mechanical watches with these complications, however, usually have astronomical prices. Are you thinking about purchasing a quartz watch? Precision, functionality, and attractive prices are the selling points for this type of watch. Even watch connoisseurs and lovers of high-quality mechanical watches advise wearing a quartz watch in certain circumstances. For example, if you play a sport such as tennis or golf while wearing a watch, a quartz watch is a good idea. It's not affected by the shocks that come when you hit the ball. A mechanical watch with 200 individual pieces, on the other hand, can hardly help but be affected. There is a much higher risk of damage during such activities. Even enthusiastic clapping at a concert can put stress on a mechanical watch. Quartz watches have either very few or no moving pieces. To a large extent, they are immune to jostling and rough handling, which can harm a mechanical watch. Quartz watches also survive accidental drops significantly better. In short: Quartz watches are the ideal sport watches. You can purchase a good quartz watch for three figures. A quartz watch is much easier to finance than a mechanical watch. A sporty chronograph from the Tissot T-Race series costs around 400 euros new. The elegant Hamilton Jazzmaster is also in this price range. 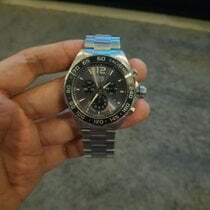 The American brand Fossil usually keeps their watches under 200 euros, as does Festina. Traser and Luminox watches tend to have a military feel to their designs. Black dials and cases are typical of these brands. They offer countless tough watches in the 400 euro price range. The selection is gigantic at these prices. In addition to Tissot, other famous manufacturers like Certina, Maurice Lacroix, Movado, and Raymond Weil have many watches available in this price range. You can purchase a new TAG Heuer Formula 1 for around 1,000 euros. Swiss premium-name brands such as Audemars Piguet, Breitling, Hublot, and Omega also offer quartz watches, although some can only be purchased pre-owned. If they're pre-owned and in good condition, then the price rises to around 1,500 - 2,000 euros. The diving watch Omega Seamaster 300 M also falls in this price range. It became famous after being used by Pierce Brosnan in the James Bond films from the 1990s. For around 3,000 euros, you can purchase a quartz Rolex from the late 70s. Companies offering both luxurious jewelry and watches make up a considerable percent of quartz watches sold in the upper price segment. 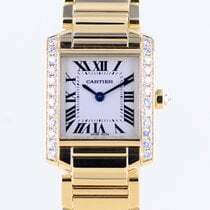 Cartier, Chopard, and Bulgari are good examples of such companies. 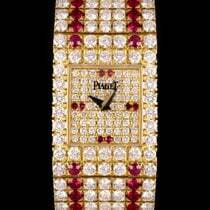 Most watches with hefty 10,000+ euros price tags have solid gold or diamond-set cases. It's not rare to spend over 100,000 euros for one of these luxury watches. Even the luxury manufacturers Patek Philippe and Audemars Piguet have quartz watches to contribute to the line-up. Audemars Piguet has white gold, diamond-studded versions of their cult watches, the Royal Oak and Royal Oak Offshore. Usually, the (mechanical) movement is the most important factor for watch enthusiasts and is responsible for a significant portion of the price. However, when it comes to extremely expensive quartz watches, the movement doesn't affect the price calculation as much. Additionally, fans aren't as fascinated by quartz movements as they are by complex mechanical calibers. There's little written about quartz movements and not much discussion. Quartz watches from Japan could have an entire article written about them alone. If you want good value for your money, then quartz watches from brands such as Seiko, Citizen, and Casio are good choices. They offer good quality with numerous functions, but are much less expensive than Swiss watches. One of Seiko's top models from the Seiko Astron series is solar powered, has a receiver for GPS time signal, and costs 1,400 euros new. A quartz watch from the Seiko subsidiary Lorus costs less than 100 euros. You can purchase a radio-controlled wristwatch waterproof to 200 m with Eco-Drive solar-powered technology for 400 euros. Thanks to radio or GPS time signal, these watches almost always display the correct time. If solar powered, a watch doesn't require a new battery every 2-3 years like other watches. If you want to wear a watch for years without it ever losing accuracy and without ever having to change the time or worry about its energy source, then a solar watch would be perfect for you. Electricity is one of the most important aspects of a quartz watch. Electricity is necessary to put the quartz crystal in motion. The quartz vibrates at a constant and reliable pace: 32,768 Hz, which explains its precision. In comparison, a mechanical movement ticks away at about 3 or 4 Hz. Normal quartz watches deviate from the correct time about 10-20 seconds per month. The precision depends on keeping the watch's temperature as constant as possible. Therefore, high-quality quartz movements are thermocompensated, meaning they measure the temperature and correct the minimal deviations in the quartz's frequency on the basis of their calculations. The quartz crystal in the watch oscillates 32,768 times a second. These movements are detected by a microchip circuit, which divides the original 32,768 Hz into one regular electric pulse per second (1 Hz). An electromagnet switches between the plus and minus poles every second. The electromagnet attracts a permanent magnet but repels it in the next moment when it changes poles, creating incremental movements. A gear absorbs these movements and sets the hands of an analog quartz watch in motion. The electric stepping motor and the quartz crystal are usually powered by a lithium button cell battery. If it's a solar cell, then the energy needs to be stored until it's used. This type of battery lasts significantly longer than a normal one. Citizen's Eco-Drive retains 80% of its full capacity after 20 years. Quartz watches have been around since the 1920s. In the beginning, they were much larger and stored in cabinets at scientific institutions. In the 1950s, Patek Philippe began sending out the first wearable quartz watches from their factory in Geneva. These watches resembled modern quartz watches. The Swiss were well ahead of their time with this technology. However, Japan is the country most associated with this type of watch. The Seiko Astron 35SQ, the first market-ready quartz wristwatch, greatly contributed to this reputation. It was first presented on December 25th, 1969. Over the next ten years, the new quartz watches made conventional mechanical watches almost irrelevant. The combination of precision and a low price was appealing to many customers. Some traditional European manufacturers disappeared completely during the so-called Quartz Crisis; the Swiss watch industry lost two-thirds of its employees. Towards the end of the 1980s, the situation began to relax. Mechanical watches experienced a comeback. Thanks to the smartwatch, the cards have been reshuffled once again. Manufacturers like Apple or Samsung are now competing with established watch brands. Quartz crystals will continue to power smartwatches efficiently and precisely.